Get 15% Off Your Next HVAC Repair! Living in the hot desert climate of Palm Springs and Palm Desert means relying on your air conditioning system almost the whole year round. If you have an air conditioning unit that is becoming less effective, leaking, or producing strange noises and odors, it may be time to call professional service. At Blair Heating & Air, we can provide you with a wide range of quality residential air conditioning and heating services that have been trusted and recommended by countless households in the community as well as in the nearby areas of Coachella Valley. With over a decade of experience, our skilled NATE-certified technicians have become familiar with the different nuances of all HVAC system brands, including the latest models and advanced technology. Our expertise has even earned us the elite status of being named a Mitsubishi Diamond Contractor! 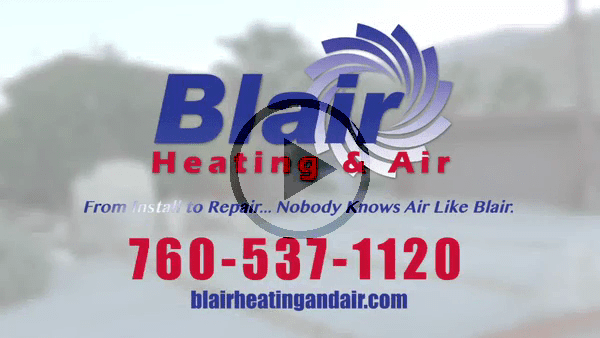 No matter what residential HVAC services you need—from new system installation to air conditioning repair, no one knows air like Blair! For more information about our company or to schedule a service, contact us online or call (760) 853-5027 today. From Install to Repair No One Knows Air Like Blair! We believe that everyone deserves the high-quality heating and air conditioning services we provide here at Blair Heating & Air. Since we established our family-owned company, our priority has always been the comfort and happiness of our customers. For us, nothing is more important than the life-long trust our customers have given us, and we strive to return the favor by making sure that you are getting the top quality service you deserve. 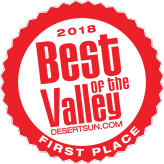 When you hire our Palm Springs residential HVAC service team for your heating or air conditioning problem, you can expect superior craftsmanship and excellent customer service every time. We even customize our home comfort solutions to fit your modern home. Let Blair Heating & Air handle any of your air conditioning and heating needs whether you live in Palm Desert, Desert Hot Springs, Indio, La Quinta, Indian Wells, or Palm Springs. All our services and products come with a 100 % customer service guarantee. Give us a call to schedule service today! Regular Hours: Monday - Sunday 7:00am - 7:00pm Emergency service available 24/7. Service Area: Bermuda Dunes, Cathedral City, Coachella, Desert Hot Springs, Indian Wells, Indio, La Quinta, Palm Desert, Palm Springs, Rancho Mirage, Sky Valley, Thousand Palms, Whitewater & More!